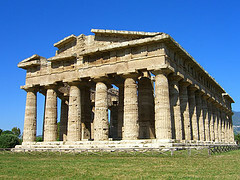 In this project, students will research Ancient Greece and design a coin celebrating a Hellenistic myth and innovation. Tuesday, December 6th: Project due at the beginning of your class period. Come to class prepared with all the materials that you will need. Stay on task and use your time effectively. Communicate with me if you are having any difficulties. The year is 173 B.C. and you are living in Macedonia. Your king, Perseus is an ardent believer in the greatness of the Macedonians and Greek way of life that they spread throughout the rest of the known world. He is looking to strengthen his position in the Hellenistic world and stabilize his own reign by reminding the people of the origins of their empire and the great accomplishments of Hellenic and Hellenistic culture. Since coinage had always been a source of pride within the Greek city-states and with Alexander the Great, Perseus has asked you and the other great craftsmen of his empire to create a new coin in honor of the 150 year anniversary of Alexander the Great’s death. In order to honor Perseus’ request and earn his favor, you must make wise choices and explain your reasoning with convincing information about Hellenistic culture. Following his chosen format and being creative will win his favor and help your coin to be chosen for mass production. 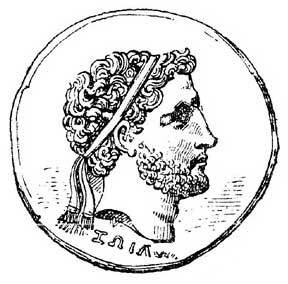 Perseus would like one side of the coin to depict the mythological being that best symbolizes the strengths of Greece. He has asked that you not choose Athena or Zeus. You will need to explain the basic plot of the myth, as well as the mythological being’s special qualities and why you think the particular being represents Greece’s strengths. Perseus would like the opposite side of the coin to illustrate a cultural innovation from Hellenistic society about which the rest of the world should know. This is your opportunity to honor the great artists, thinkers, and inventors of your culture, and to brag about the greatness of the Hellenistic way of life. Aside from explaining the innovation you should also explain why you chose it. You must include four or more facts about the innovation in your explanation.